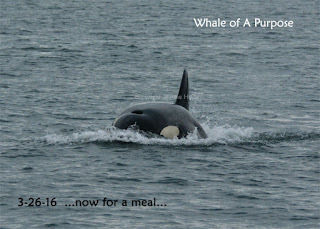 ...if you want whales on the west side in the morning, make a dentist appt....works every time! ...what would they do next? 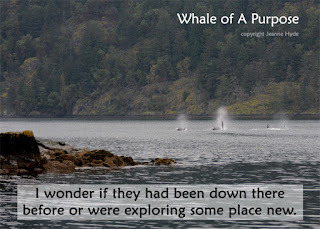 ...you'd laugh if you watched me run back and forth trying to get pictures of the whales in the trees! 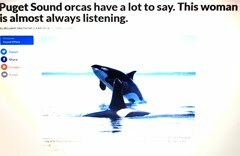 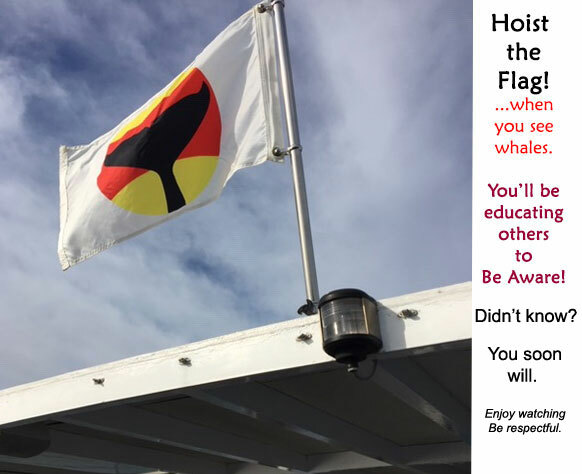 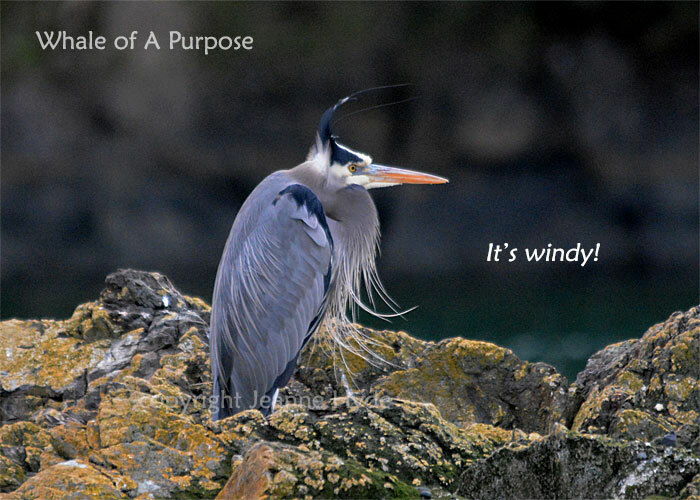 ...she told me about a place near Charleston, South Carolina, where dolphins strand feed...I had to look it up...'No words ' absolutely amazing! 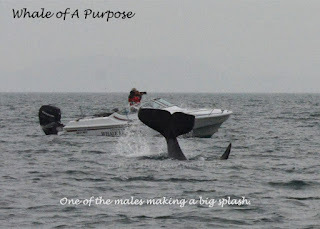 Here's a YouTube Video of dolphins strand feeding. 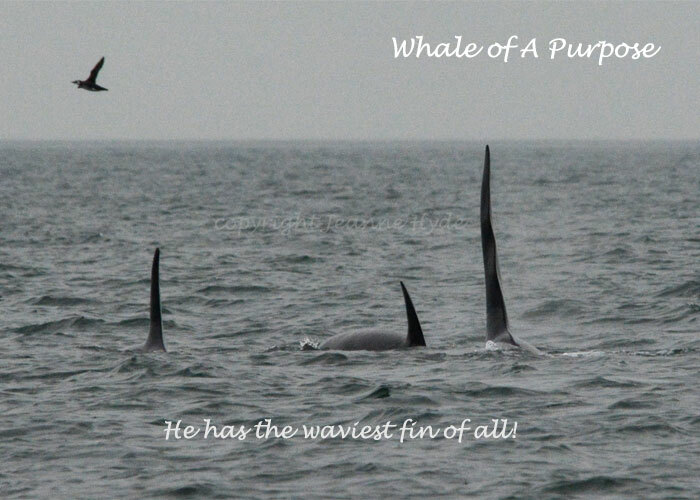 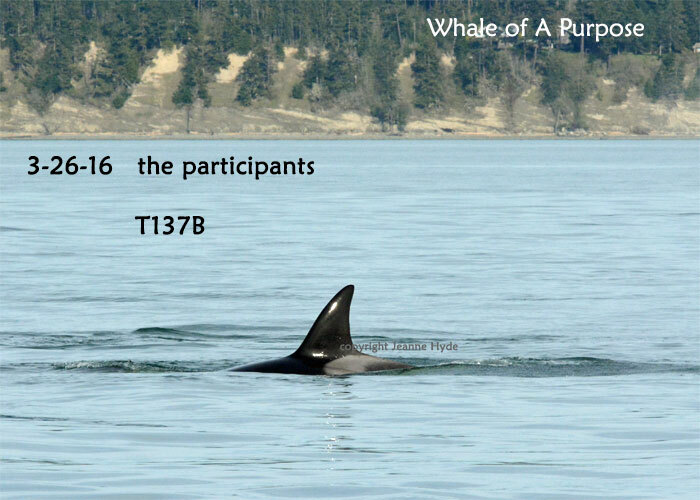 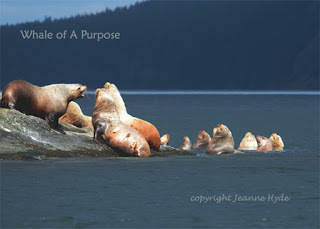 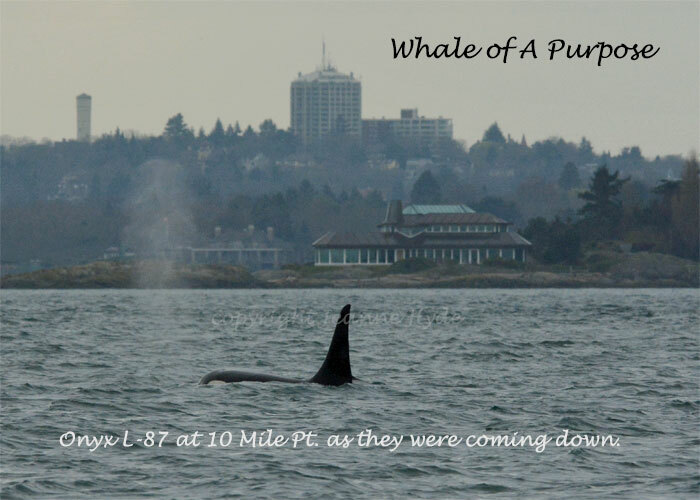 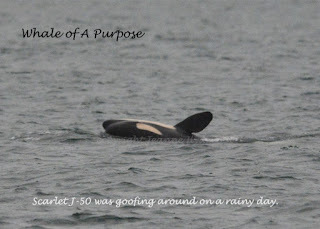 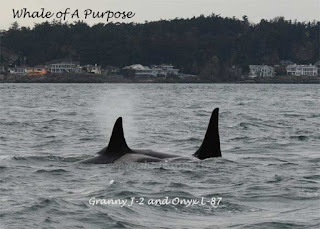 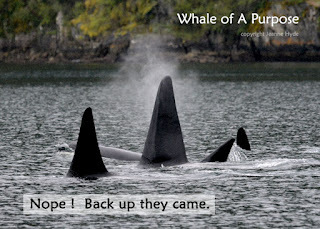 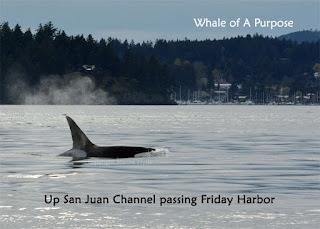 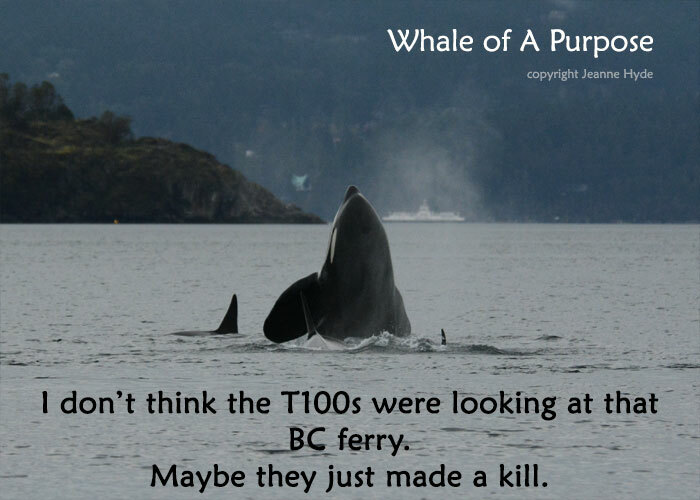 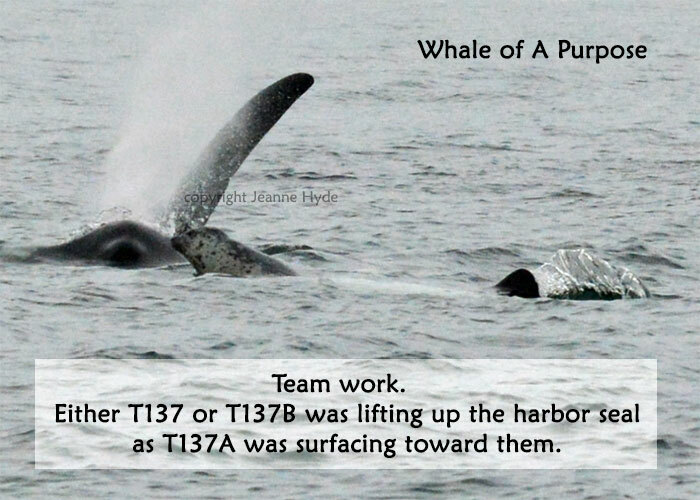 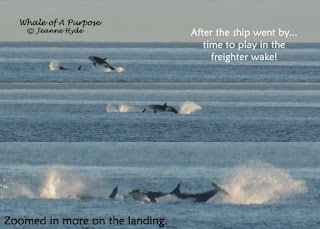 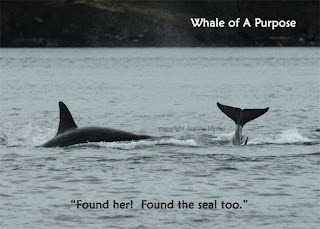 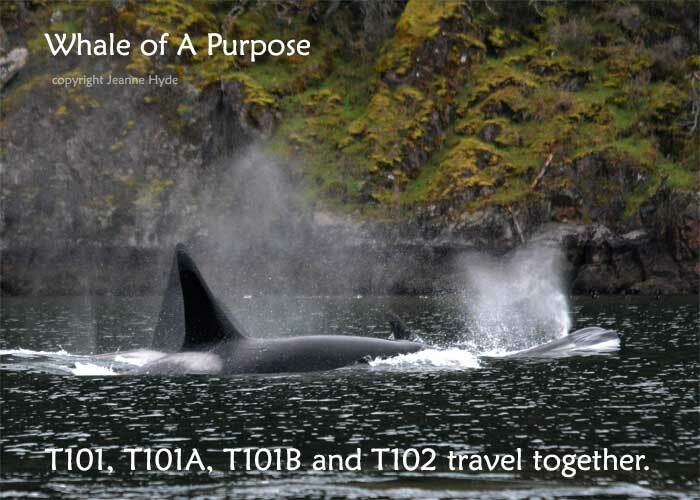 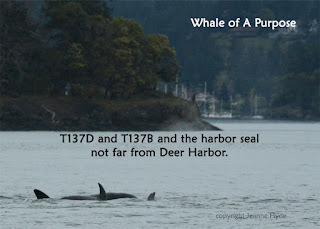 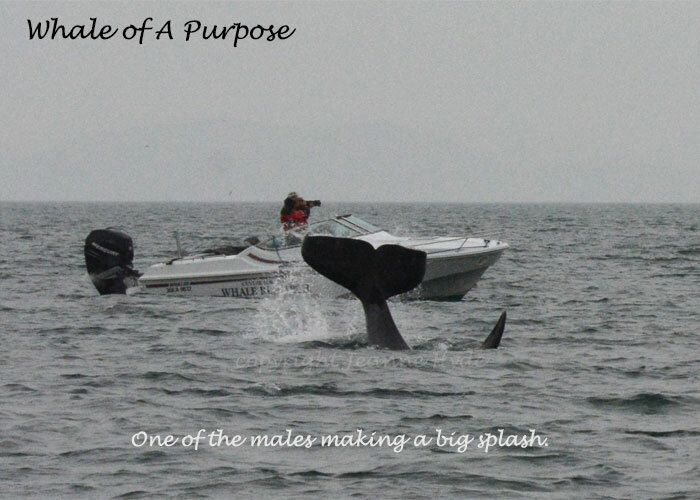 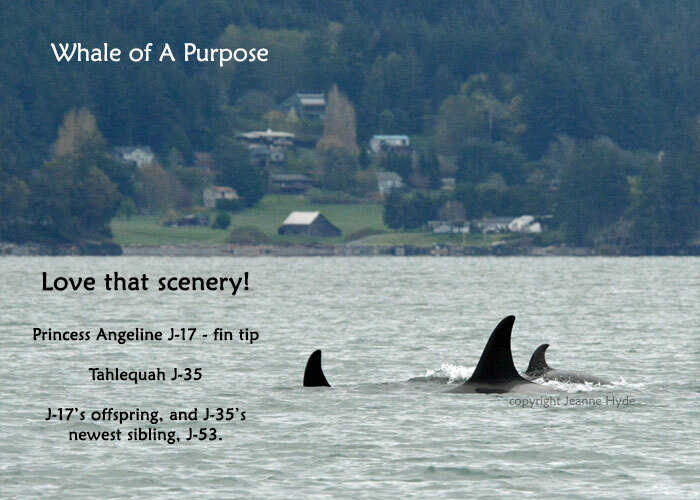 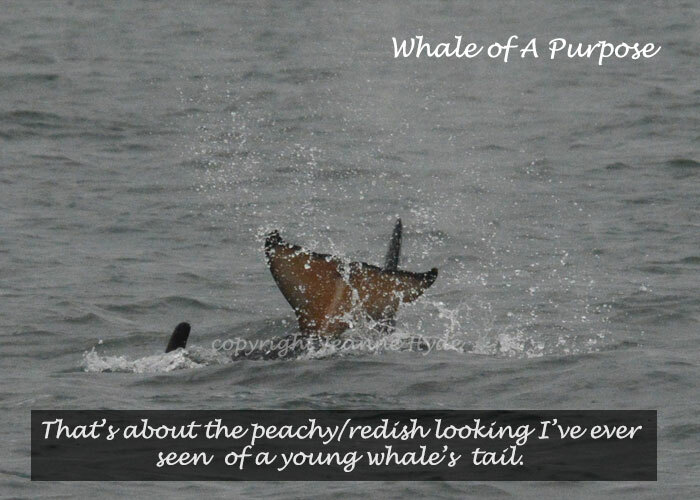 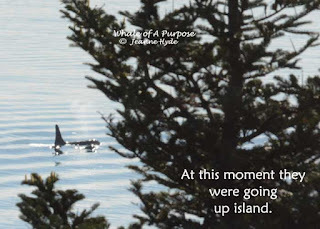 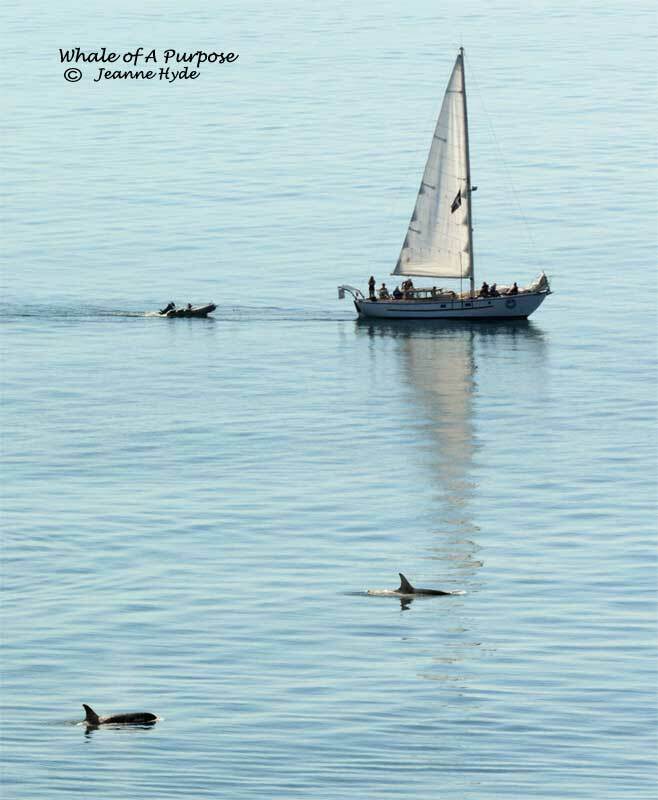 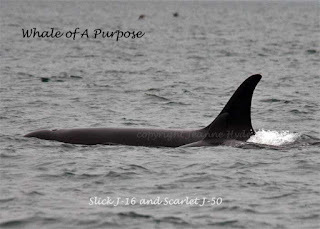 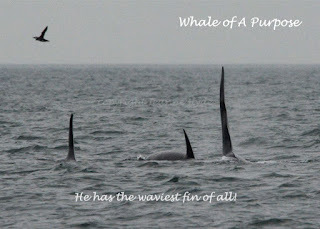 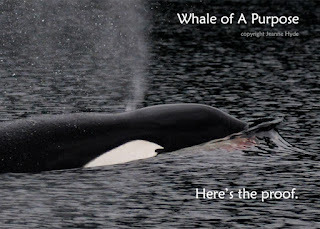 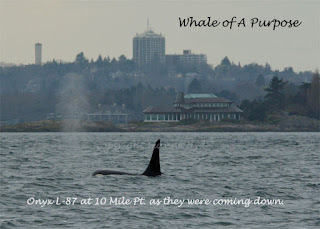 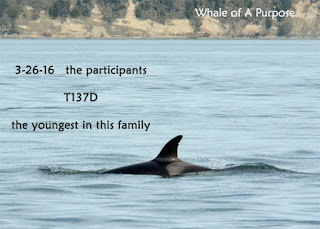 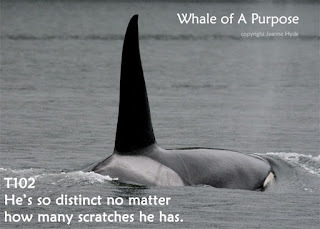 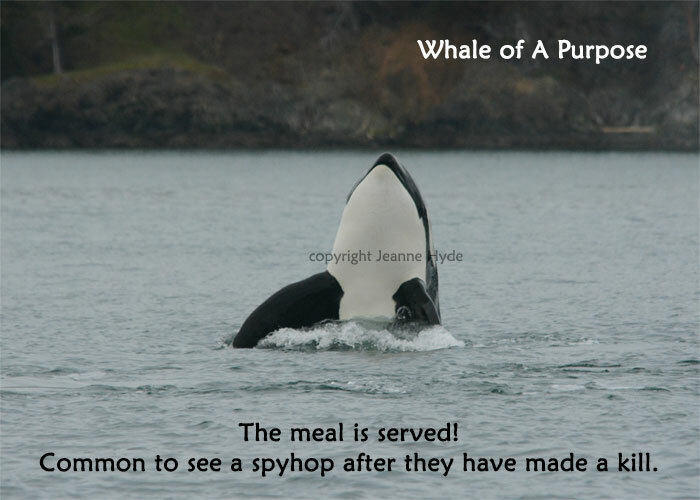 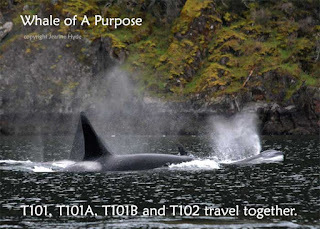 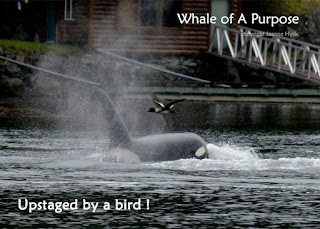 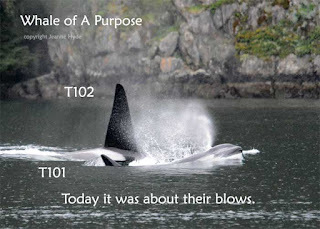 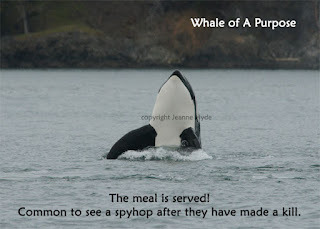 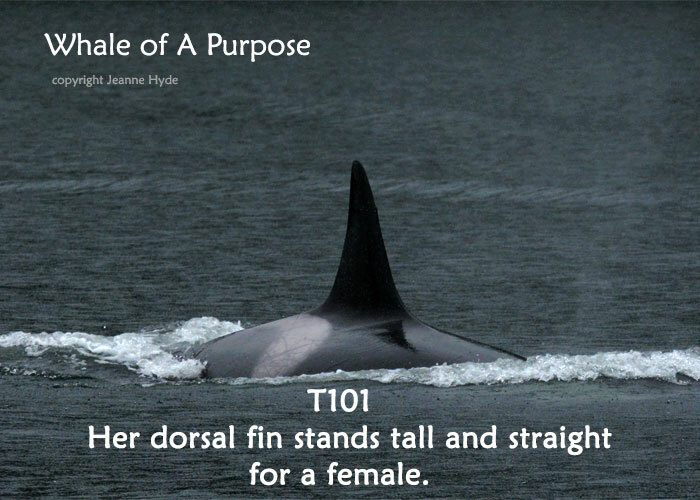 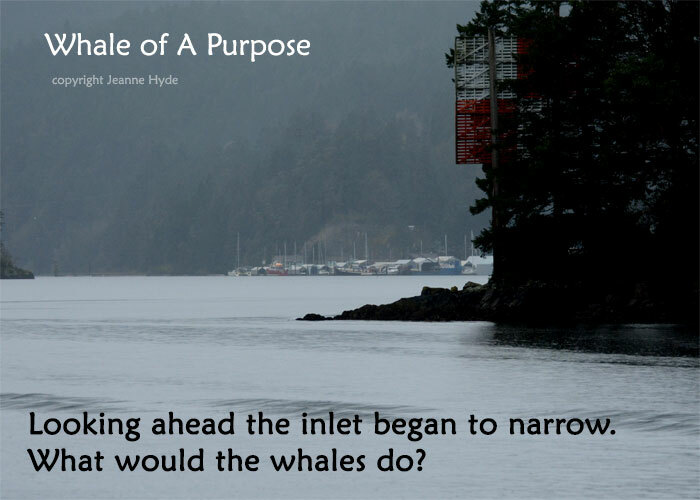 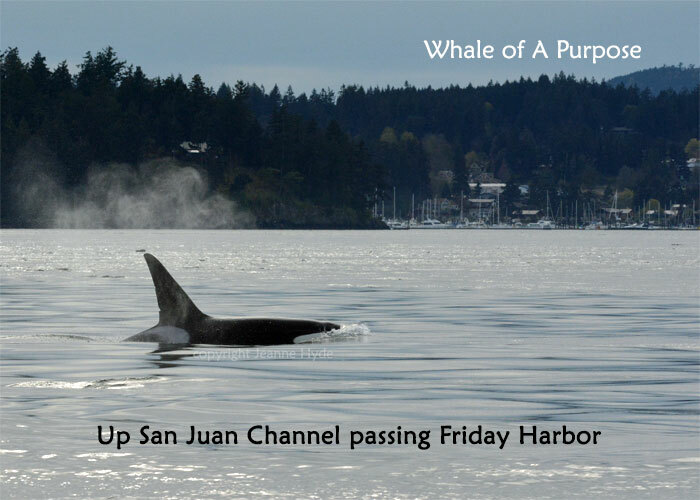 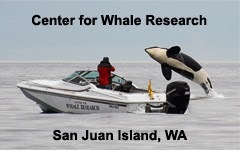 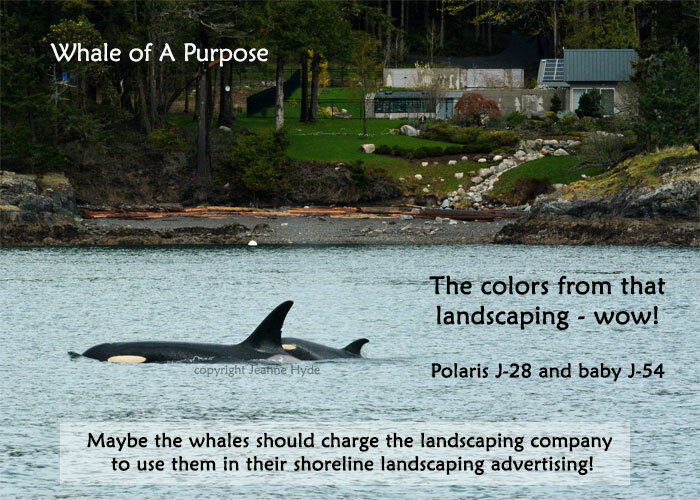 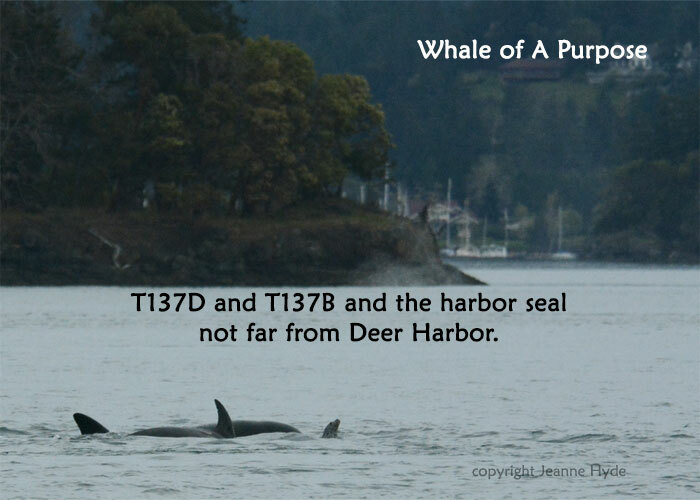 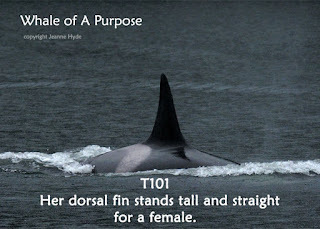 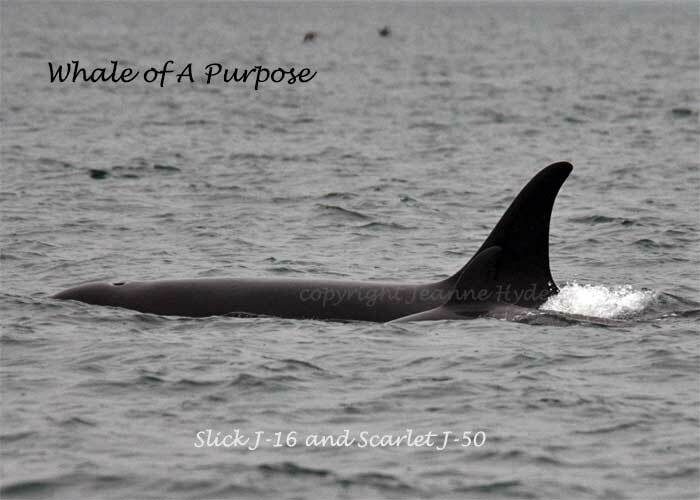 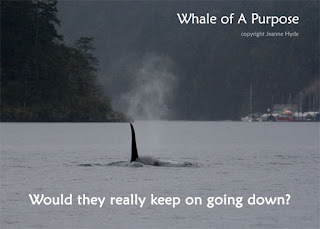 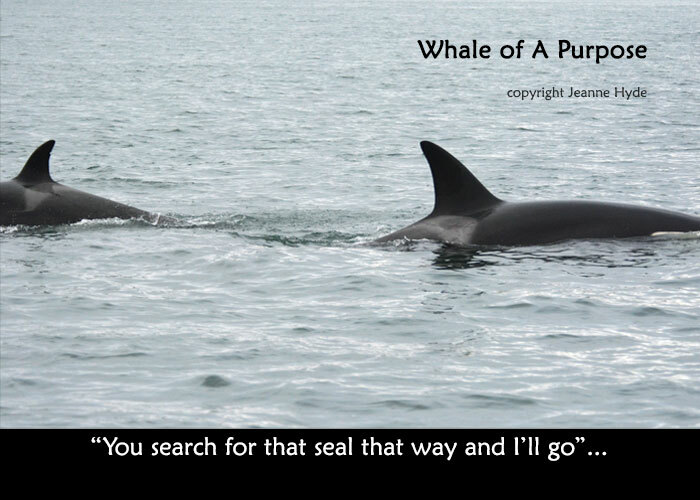 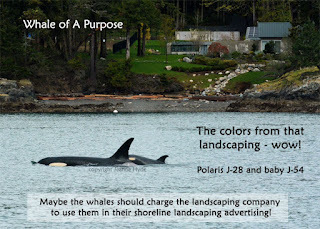 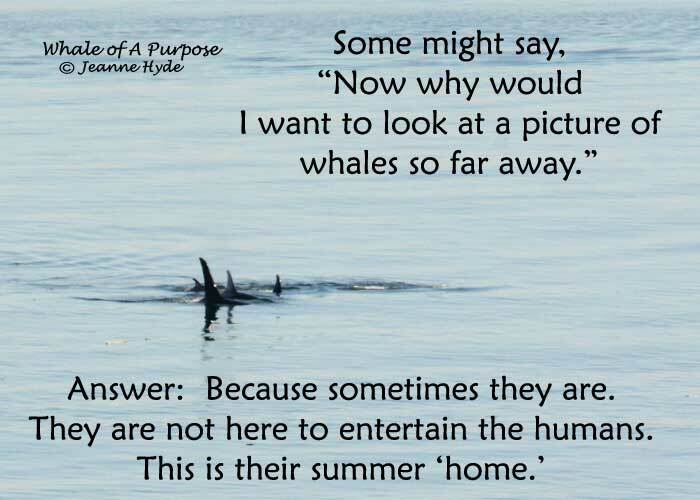 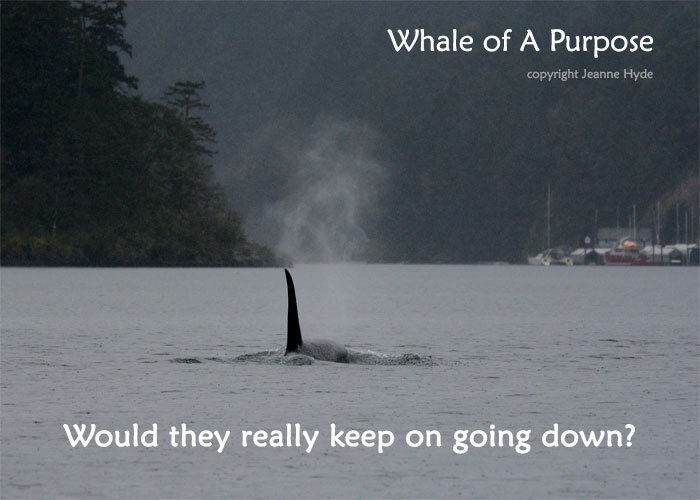 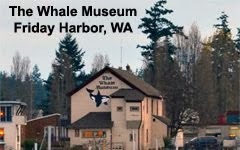 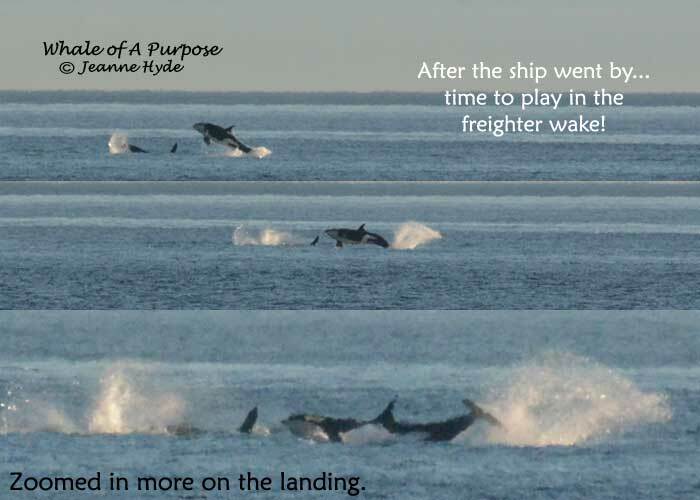 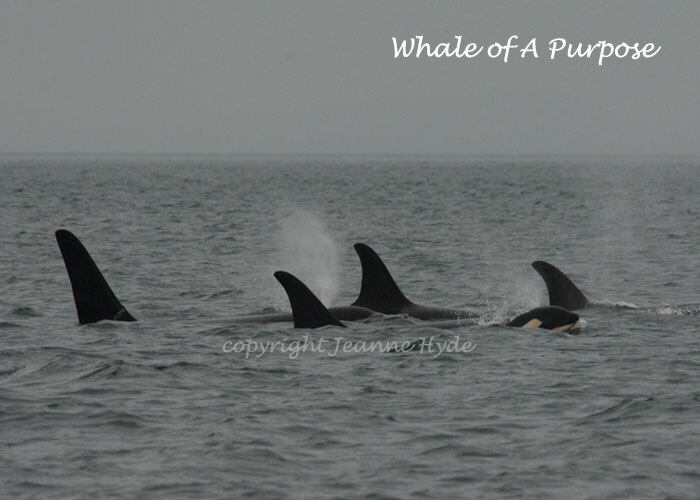 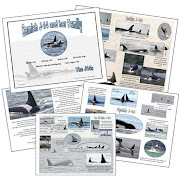 ...Tom from Deer Harbor Charters reported that it was some members of J Pod! ...maybe ferry ridership will increase :) ! 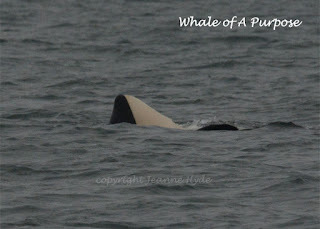 ...on Peregrine with Capt. 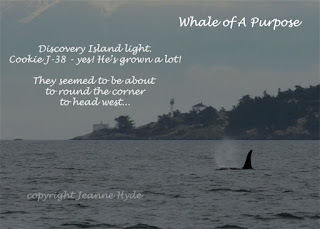 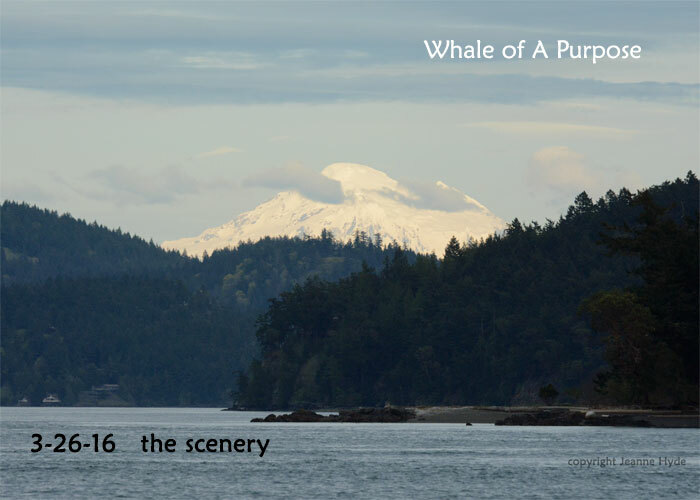 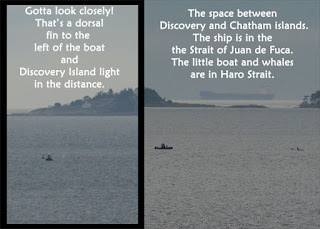 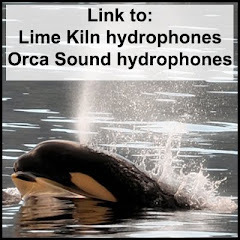 Jim over near Blakely Island...inland waters...they had gone east to Blakely and back again...someone said the whales passed the Orcas Ferry terminal three times...they eventually went through Pole Pass - a very, very narrow place - heard about that from David of All Aboard Sailing...he said it was awesome!...they headed west in Spieden Channel and angled back to the north...but did they end up going north?...no telling where they will show up next. 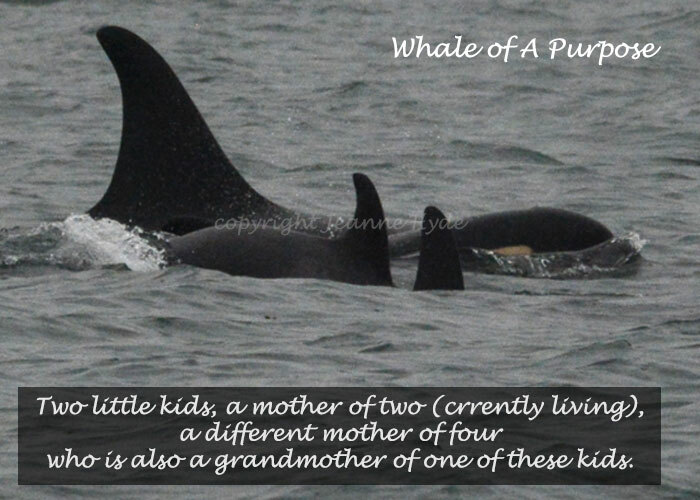 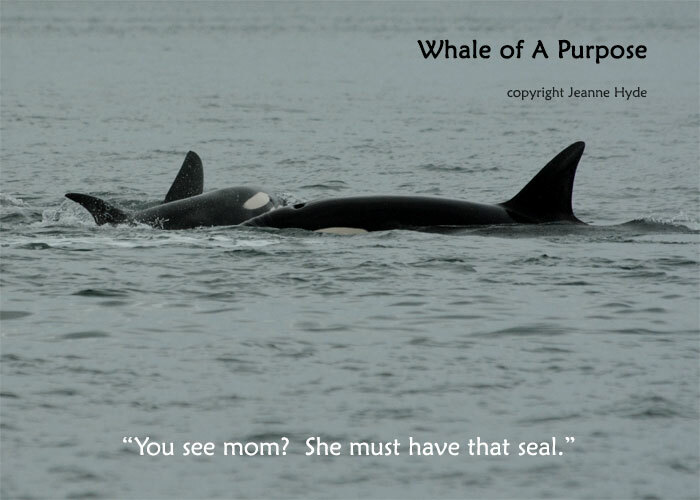 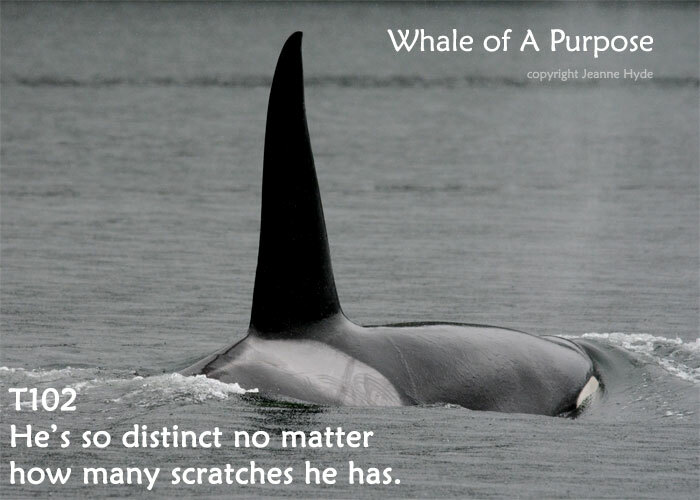 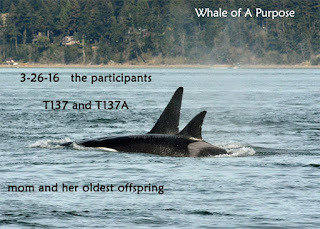 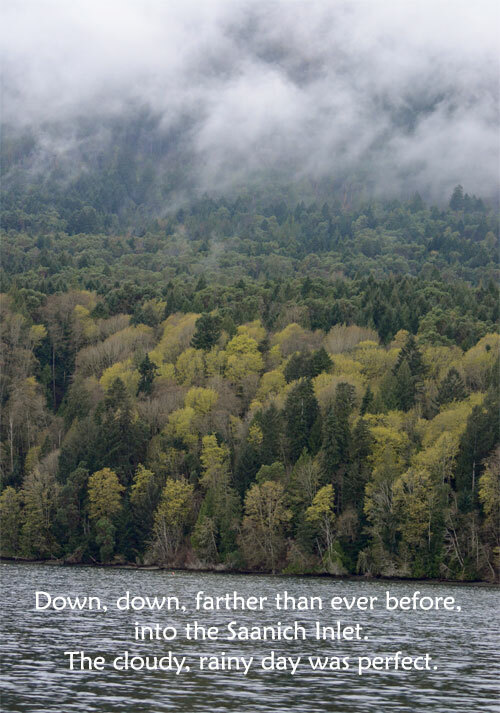 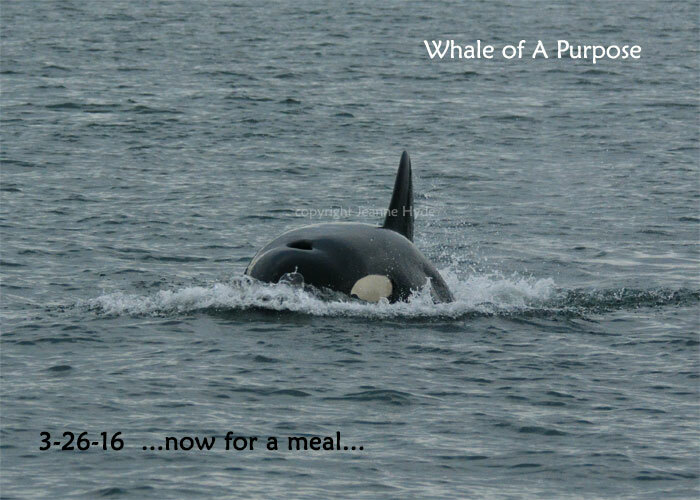 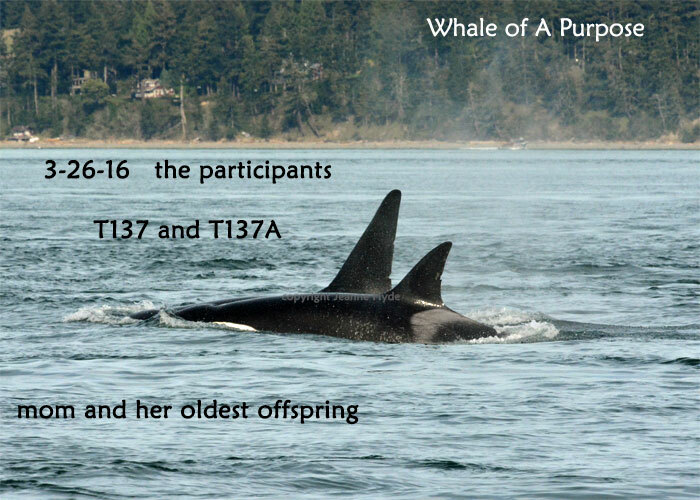 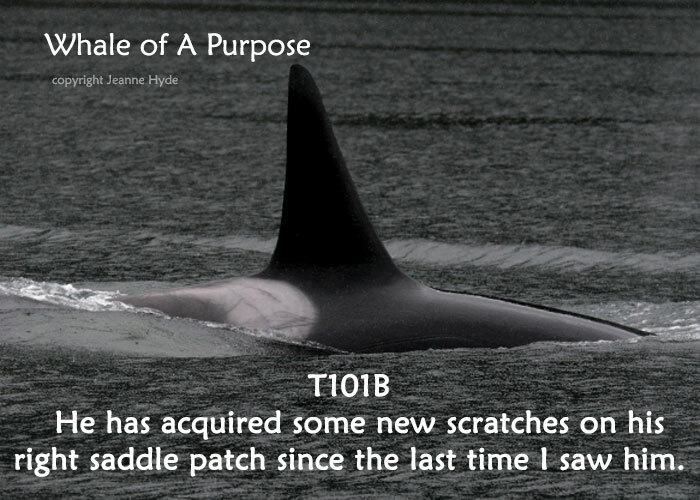 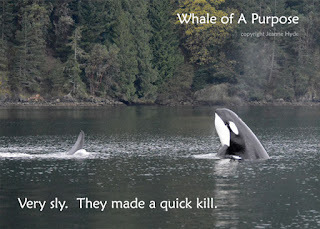 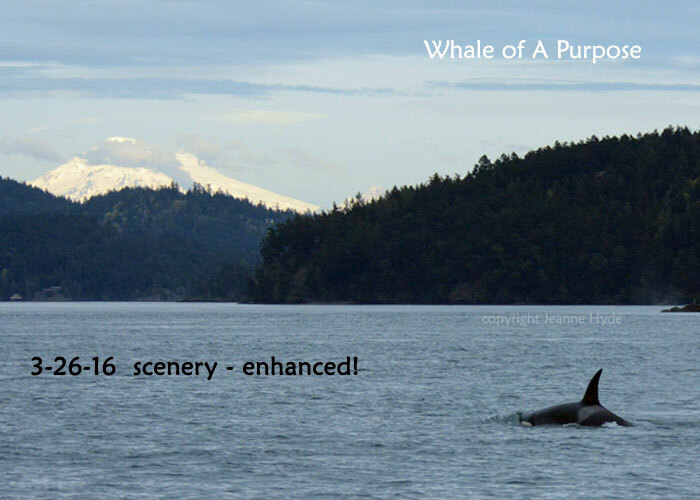 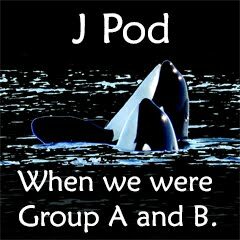 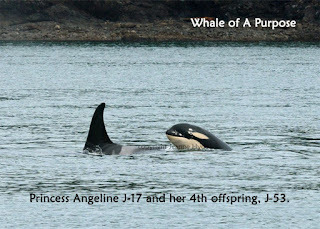 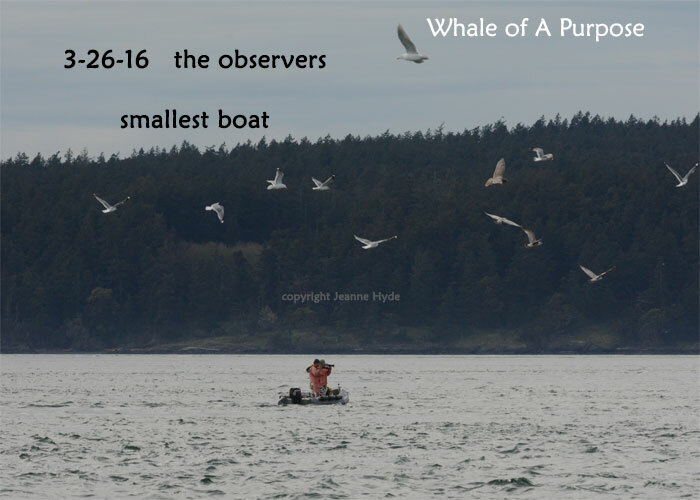 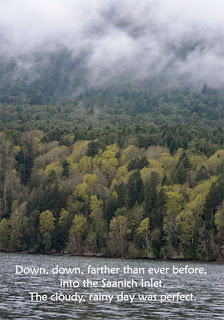 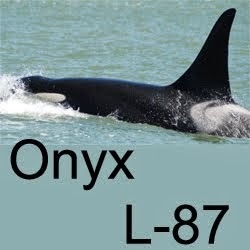 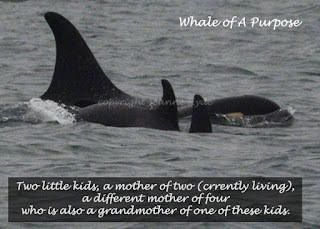 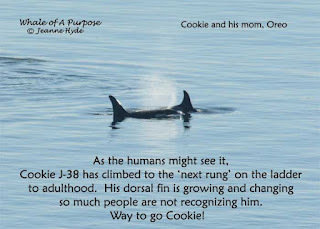 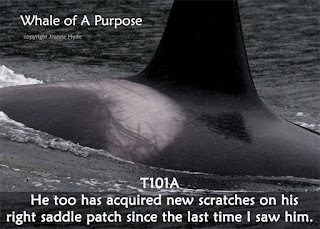 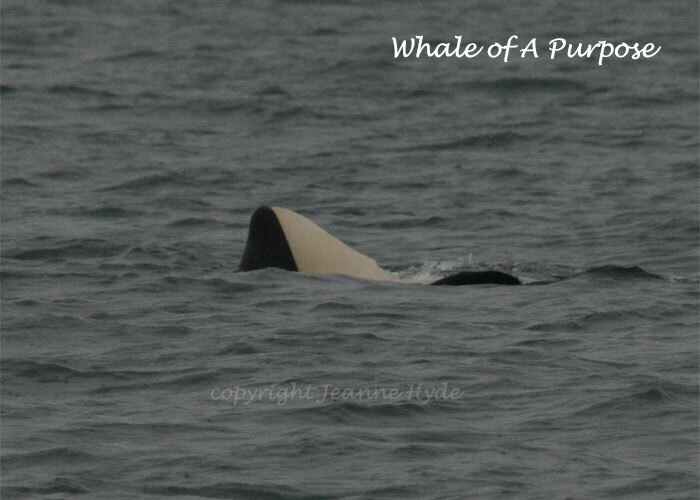 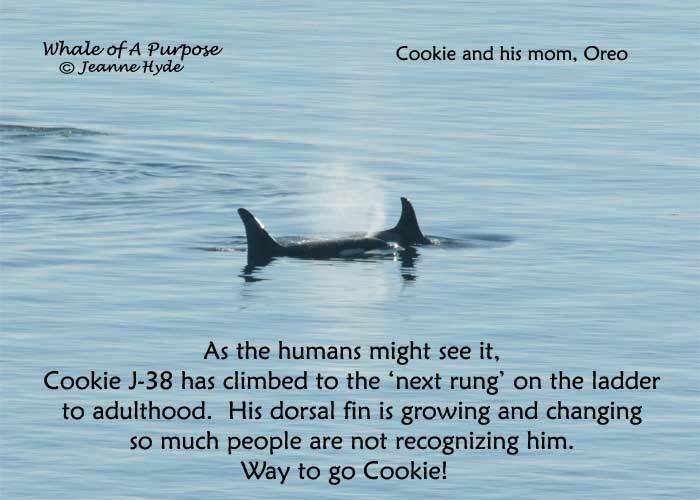 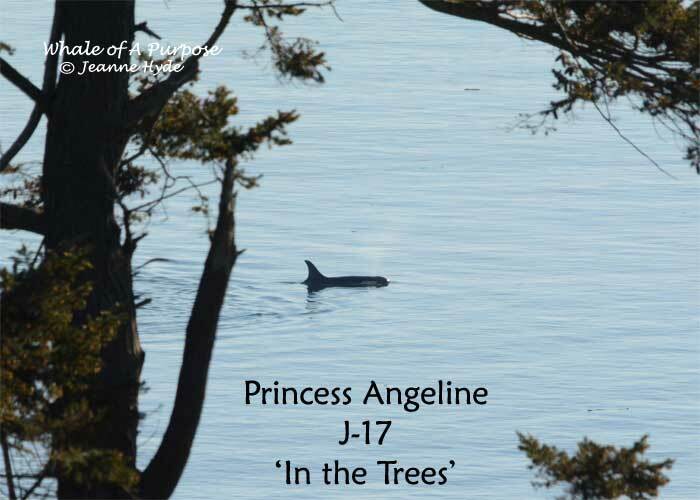 ...I remember last year the J16s with their two new babies spent time away from the rest of J Pod. 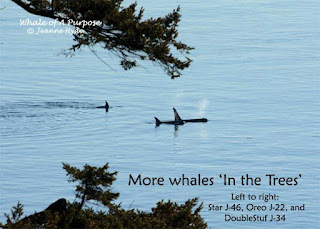 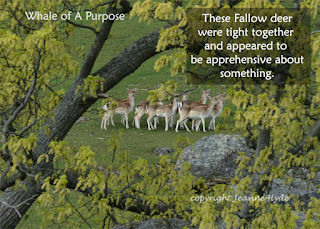 It appeared they were doing that because of the two young ones - less travel, more rest. 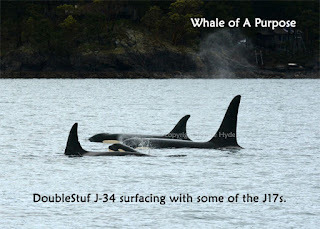 Maybe that's why the J17s stayed in and with them the J22s for added support. 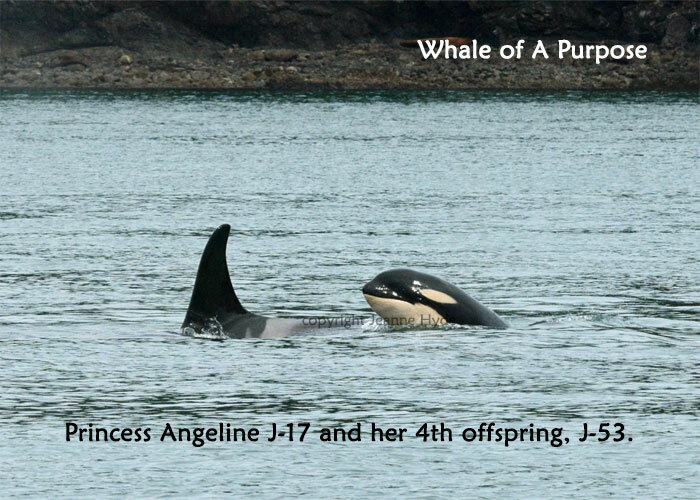 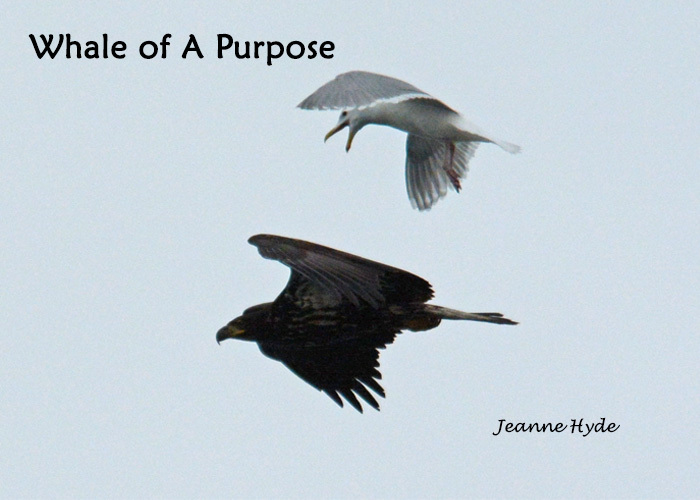 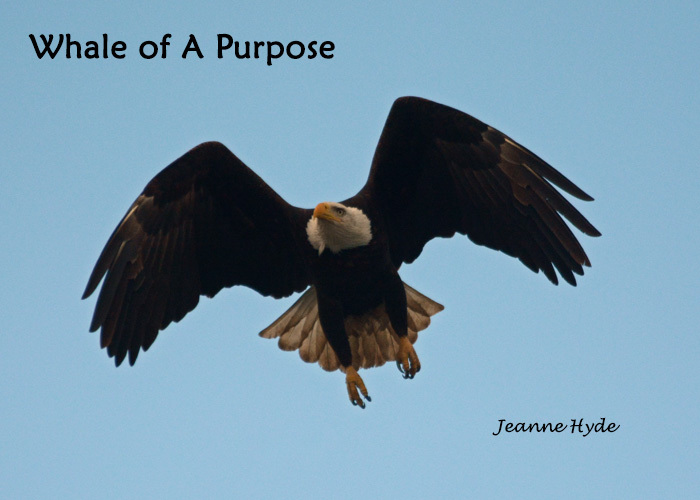 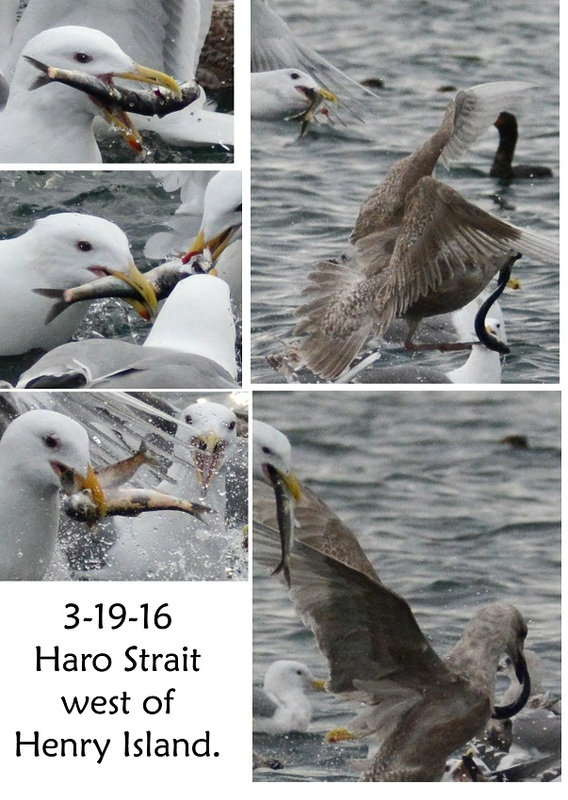 The J17s have three adult females, three 5 to 6 year olds, and the two babies. 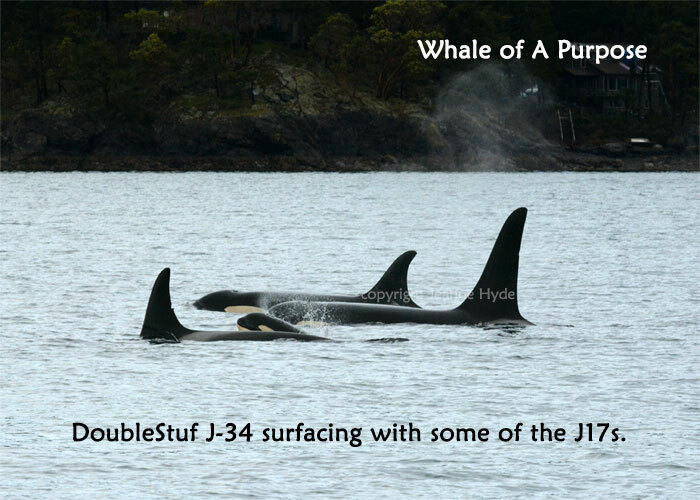 The J22s have one adult female, an 18 year old male, and a 12 1/2 year old male. 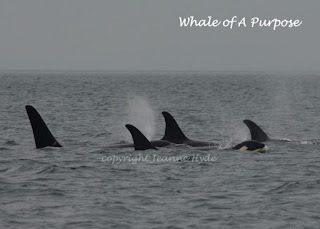 ...Enough food to feed this size group while the rest of the pod went west in search of enough food to feed them. 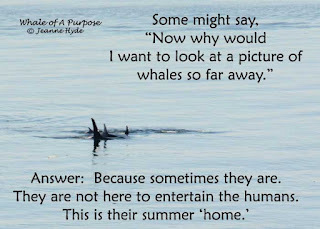 Don't know but just a thought. 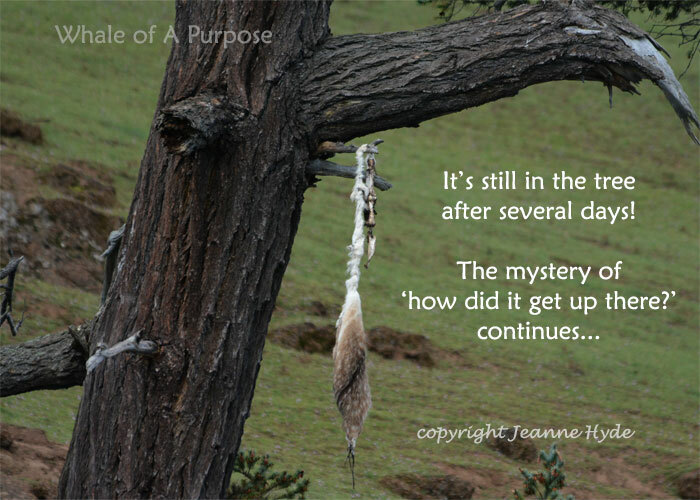 ...we won't know what, if anything, is going on with them until something, if anything different happens...now doesn't that make a lot of sense! ha! 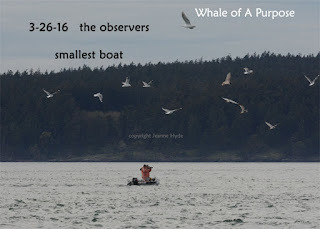 ...no whales had been reported in the morning...late morning some whales were seen coming out of Puget Sound...Ivan of the Western Prince heads down that way and comes upon some other whales! 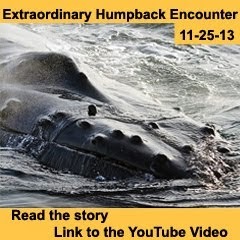 Here's a clip of them in action. 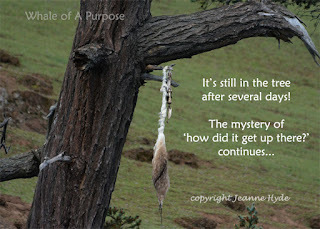 ...who knows if they did get back together or not...we'll have to wait until they let us know. 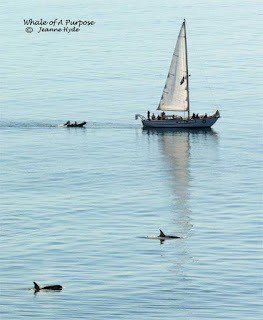 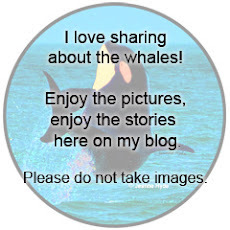 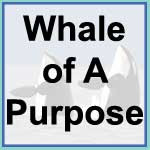 It was a great day for all who saw the whales and hopefully for the whales and their trip down the inlet and back. 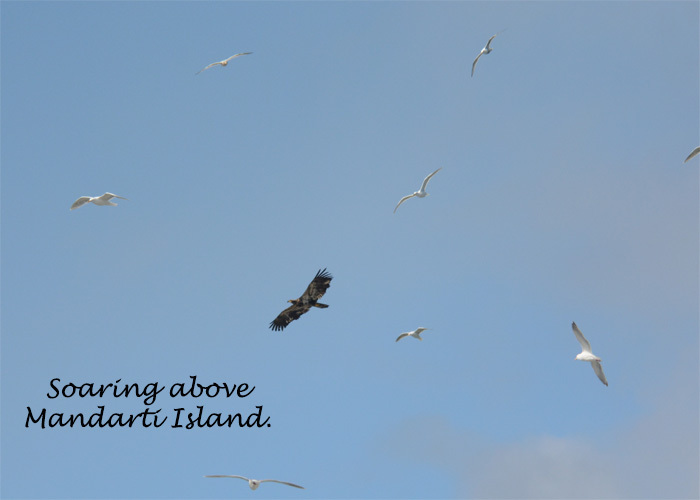 ...I watched for as long as I could...seas got choppy - lots of white caps and the birds, including eagles, were again all over going after more herring, I presume...ah! more salmon coming in too??? 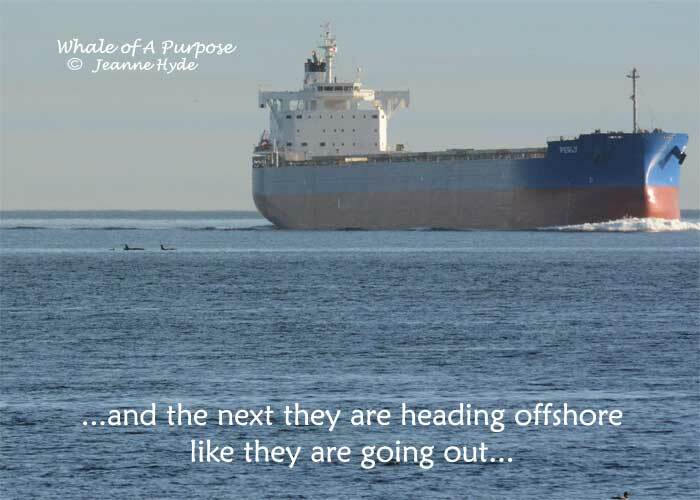 ...I think they have gone north, but they've been quiet a lot today, so one just never knows for sure until we see or hear them the next time.